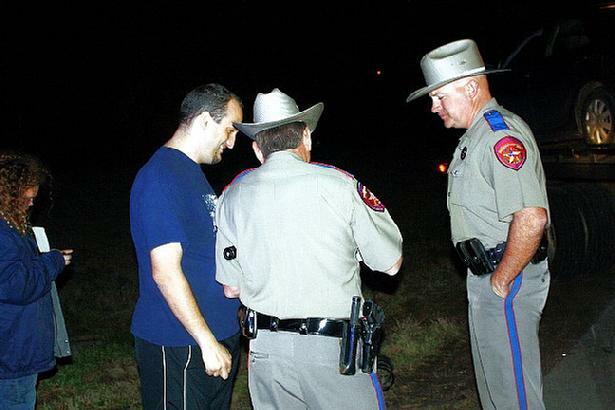 DPS Troopers Darwon Evans (left) and Kevin Burman speak with David Walker at the scene. Turning When Unsafe Leads to Accident, LIVINGSTON, January 18, 2010 - At approximately 6:40 pm on January 18, 2010, a tan 2009 Kia Rio driven by John Ed Duff, 56, of Livingston was north-bound on US-146 when he passed his house by accident and decided to do a U-turn to turn back toward his house. 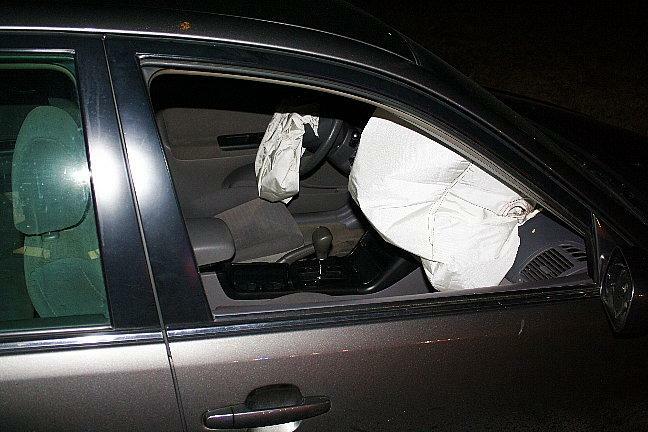 Duff pulled over to the shoulder and attempted his U-turn and pulled directly in front of an oncoming tan 2006 Toyota Camry driven by David Walker, 35, of Trinity. Walker's vehicle collided with Duff's vehicle sending Walker off the road to the left and into the grass while Duff's vehicle remained on the road. Americare Ambulance Service was dispatched to the scene along with Deputy Lee Rogers and Sergeant William Jerry and DPS Troopers Darwon Evans and Kevin Burman. All traffic on 146 was temporarily blocked during investigation and cleanup. Fortunately, nobody had to be transported to the hospital. Both parties had insurance. Duff was cited for turning when unsafe. 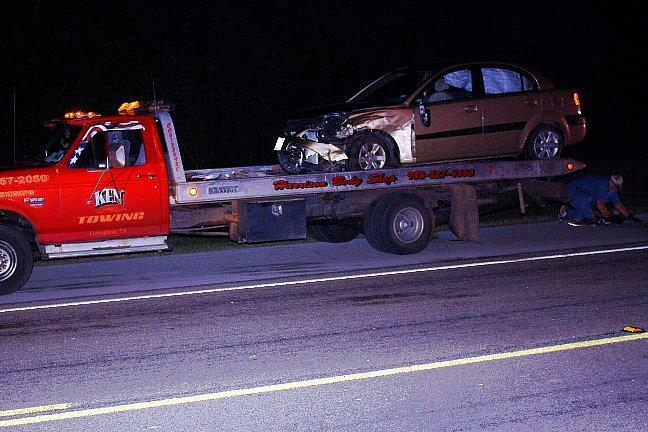 A rollback wrecker from Ken's Towing recovered Duff's vehicle and it will be stored at Harrison Body Shop in Livingston while Walker's vehicle was recovered by LakeView Wrecker and it will be stored at LakeView in Livingston. The scene was cleared by 7:25 pm. 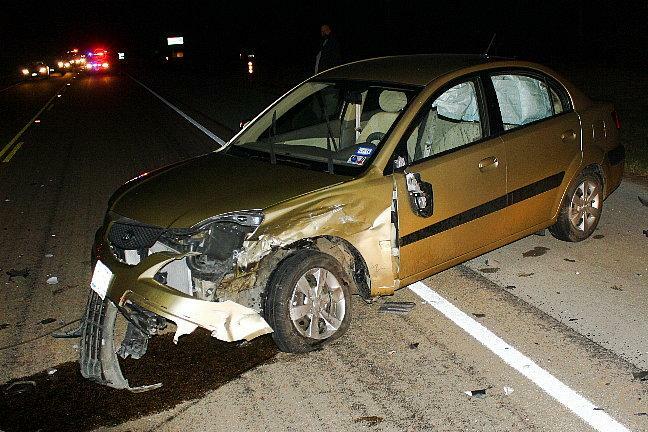 John Duff's 2009 Kia Rio came to rest in the north-bound lane US-146. 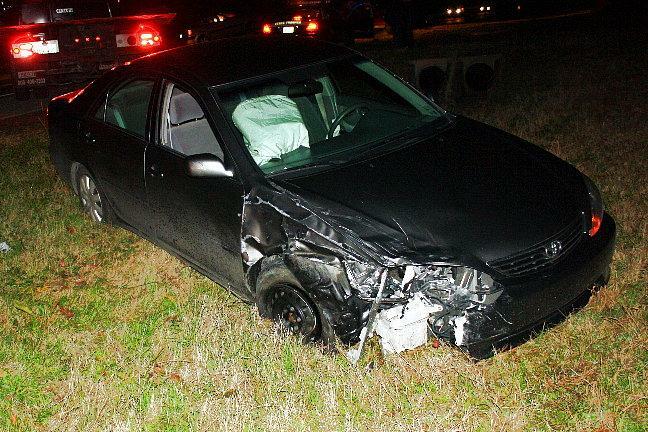 David Walker's 2006 Toyota Camry came to rest in the grass on the south-bound side of US-146.